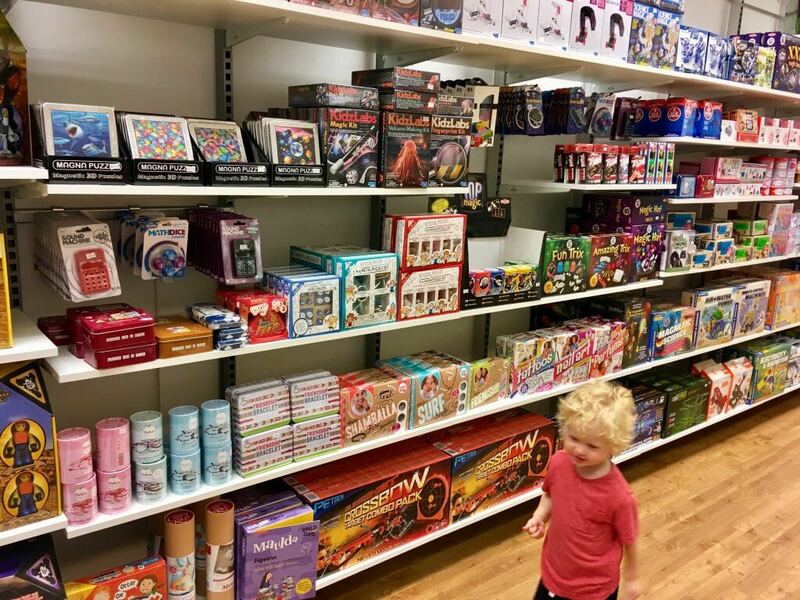 What2buy4kids was set up in 2010 after Lisa became frustrated with how difficult it was to find decent children’s birthday presents for her children’s friends. She tried to give gifts that are both special and useful, rather than giving a present that will live with the other unwanted gifts at the bottom of the wardrobe. This resulted in her setting up the what2buy4kids website and over the years it has expanded to her now having over 15 staff working with her. I was asked if I would like to pop down to their Southport shop that was opened in November 2016 to share my thoughts about it. I have to admit that before being offered this opportunity, I hadn’t heard of what2buy4kids so I went on their website beforehand to have a look. 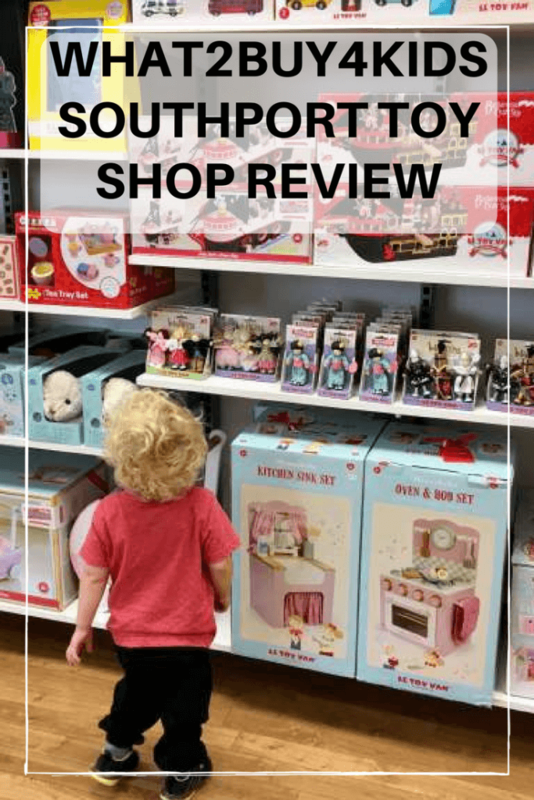 I am really impressed with the website, it is easy to navigate and is separated in sections for boys, girls, ages, gifts, toys, brands and type. I don’t particularly agree with gender specific toys but I can see how this would be useful for some people. 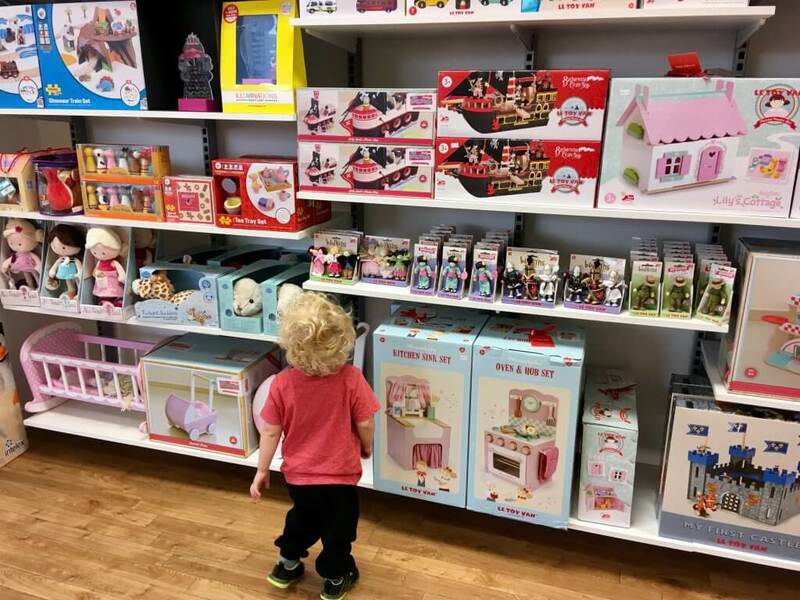 For those that aren’t gender specific in their search, it is a simple drop down box from kids toys to an age and then a selection of suitable toys or gifts appears, so useful if you don’t have a clue what to buy. Anyway a couple of weeks ago, armed with Lucas’ voucher* to spend we set off to Southport to find the shop. The shop is situated in Marble Place shopping centre on Chapel Street. It is easily accessible by train, bus or car. We parked on central 12 shopping centre where Asda is as the parking there is miles cheaper than the closer NCP one. If you park there, it’s a less than 5 min walk towards the centre of town and you will see Marble Place and the train station on your left. Oh that looks really good! My son has literally got a whole toy box at the moment of stuff he’s not playing with so I’m on the lookout for stuff that they’ll actually play with for a while! Oh Wow! This place is like heaven for my kids! I will need to have a look at their website now. Great review! It’s nice to think someone’s considered what children actually need or will benefit from, as well as what will make money. This shop looks great. I can see many things I would be interested in buying. This shop looks great. I see many items I would be interested in. Great review. 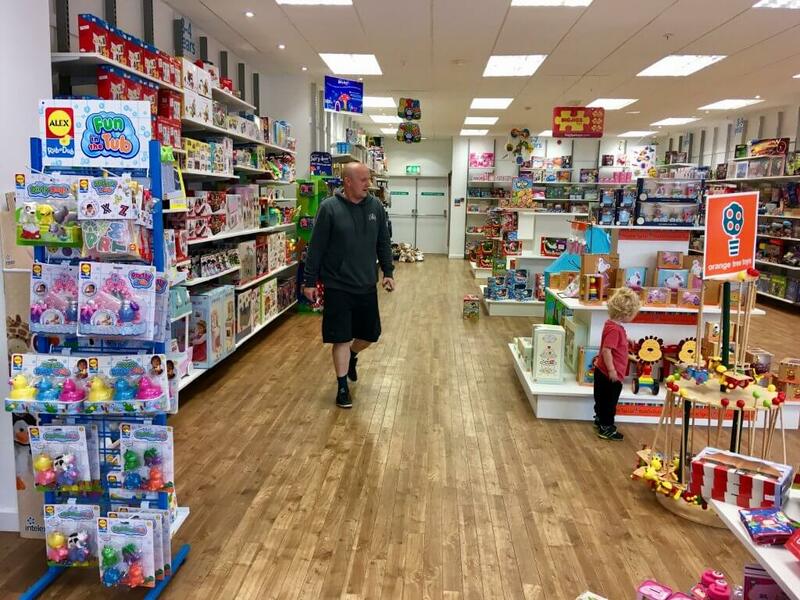 It’s so nice to hear of a local business doing well and growing, I always try and buy my children’s presents from local shops rather than online huge retailers. And it’s shocking how many toy stores aren’t buggy friendly! It’s indeed a herculean task sometimes to decide what to buy! I’ve got 3 birthday presents to give this weekend so I’ll definitely check this out!